The IPF Summit focuses exclusively on closing the translational gap between preclinical predictability and clinical attrition to accelerate the development of truly curative idiopathic pulmonary fibrosis (IPF) therapeutics. 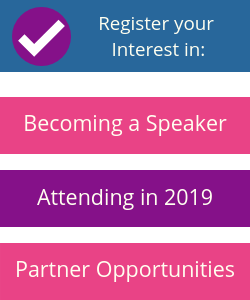 With the 2019 conference expanding upon an even greater breadth and depth of content, you’ll hear three days of unrivalled scientifically driven and case-study based analysis and discussion, as together leading academia and biopharma advance the IPF drug development frontier. Last year, over 90 of IPF’s expert drug developers came together to advance the standardisation of imaging, share clinical insights, and evaluate better recapitulating disease physiology in vitro exclusively for IPF. Want to be part of the IPF Summit 2019? “I thought this disease specific conference was informative, by planning a concentrated topic it gave an opportunity to look through a tighter lens."